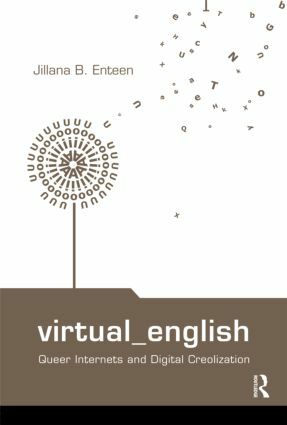 Virtual English examines English language communication on the World Wide Web, focusing on Internet practices crafted by underserved communities in the US and overlooked participants in several Asian Diaspora communities. Jillana Enteen locates instances where subjects use electronic media to resist popular understandings of cyberspace, computer-mediated communication, nation and community, presenting unexpected responses to the forces of globalization and predominate US value systems. The populations studied here contribute websites, conversations and artifacts that employ English strategically, broadening and splintering the language to express their concerns in the manner they perceive as effective. Users are thus afforded new opportunities to transmit information, conduct conversations, teach and make decisions, shaping, in the process, both language and technology. Moreover, web designers and writers conjure distinct versions of digitally enhanced futures -- computer-mediated communication may attract audiences previously out of reach. The subjects of Virtual English challenge prevailing deployments and conceptions of emerging technologies. Their on-line practices illustrate that the Internet need not replicate current geopolitical beliefs and practices and that reconfigurations exist in tandem with dominant models.